As the month of Movember is coming to an end and with the possibility of the next Summer heatwave approaching, there's no better time to allow yourself a worthy trim on that raggedy face beard and messy top-side. And we're not talking about your standard $10 shave from your dad's signature local spot, we're talking about the revamped barber shops of our generation that gives classic cuts a run for their money. Be it to channel your inner Mad Men persona, or to show your appreciation for the ever-growing beard culture, or maybe even just for some manly pampering getaway, a barber shop is the embodiment of the much-needed criteria for male grooming. Through the recent years in Brisbane, these scissor-connoisseurs have made a lasting impression on the barbering scene with their contemporary twists on the conventional styles. From their swift movements of the razors to their unique mark on the suave classy look, here are some best barbers in town for your next big cut. 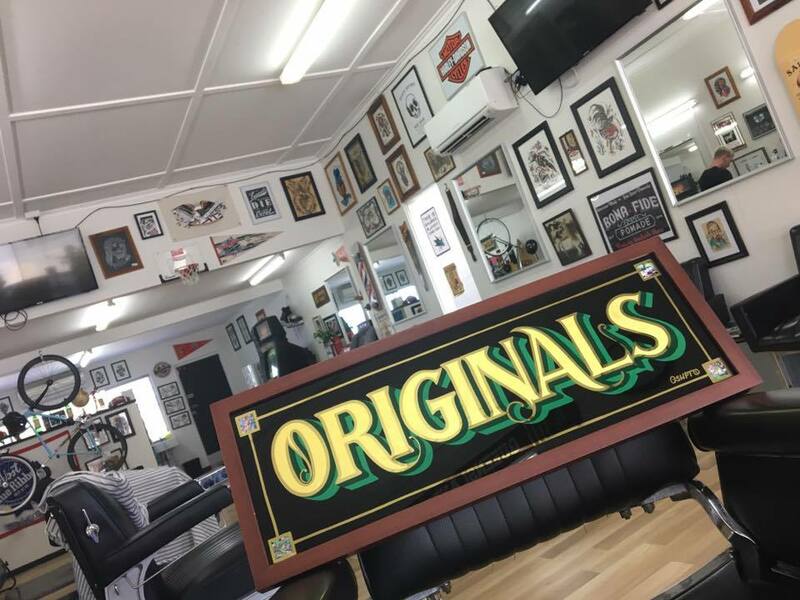 Gathering inspiration from his well-spent youthful days in the barber seat, the owner of Originals Barber Shop, Mikey Hanley opened up the freshest American-style chopping block in the heart of Greenslopes. Originals pride themselves on having artistes being second to none by delivering the cleanest of shaves to the most intricate of fades. Striving for quality over quantity, let this be your next destination for a modern trim as you admire the American sports décor and have a friendly chat with Mike about his favourite ice hockey team, the San Jose Sharks. 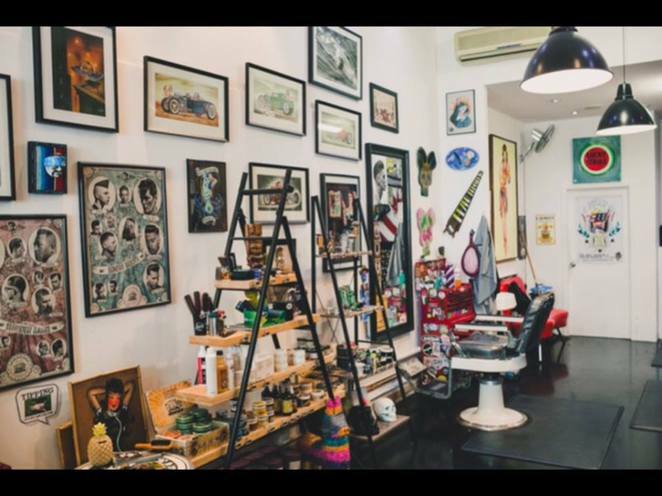 Encapsulating the eccentric Valley vibes is Kustom Kulture barber shop, Crown and Co. Providing its 50's style retro aesthetics to the public is not only an eye-pleaser but an insight experience into the lost styles of barbering. The capitalisation of the letter 'K' defines Crown and Co. as a standout for truly representing its 'Kustom' morales. 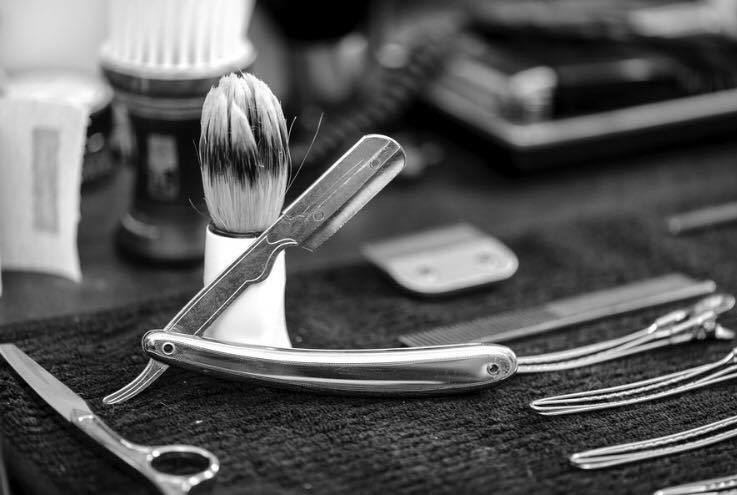 For the barber enthusiasts out there, they will be able to get an on-trend trim to a traditional oldskool cutthroat shave – as each time the senses feel familiar, but yet refreshingly different. 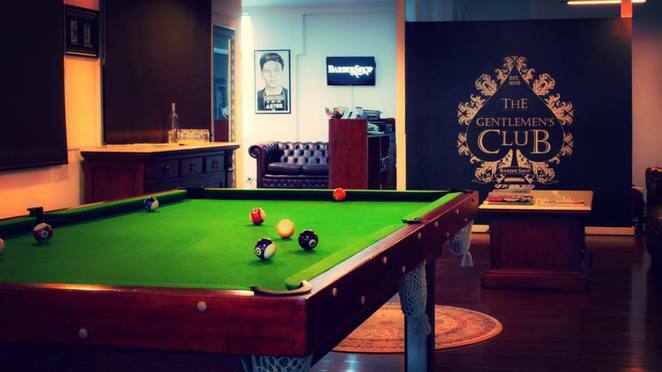 With over 20 years of barbering experience between the manager, Tyrone Johnston, and barber Alen Younan, their concept for The Gentlemen's Club was far more than just your regular establishment for a straight razor, but more of a vision of a sanctuary for relaxation. So don't be fooled by their name, the members of this man-cave style barber shop are a tight-niche family that holds close relationships with their patrons above anything else. So go pay them a visit for a sleek new-do, while you entertain yourself with a live game on the projector screen. Oh, and did we mention there's a pool table as well? 11/915 Ann St, Fortitude Valley. Sometimes, one would search for a good old-fashioned meeting ground that one could call Home. Stored away in the vintage suburbs of Paddington is a traditional barber shop, Paddington Barber Co. With its black salon chairs, large mirrors, and posters surrounding its prominent red walls, there's a certain sense of comfort and belonging that comes to mind. As the owner, Sash picks up his clippers, he'll turn into a wise barbering guru. The bond between barber and customer has never been more trustworthy. There's no fancy cuts necessary, just plain old 'Classic' satisfaction. Also, it doesn't hurt that they serve a beer with each cut. Need to reshape that twirl of a moustache or just looking for the next sleekest haircut? The Moustachery has got you covered with their diverse range of barbers from different backgrounds and experiences. These social media moguls have been dominating the barbering scene by providing a contemporary and modernised twist to their old school western salon atmosphere. So come by and relive this time of age where you savour that glass of whisky while getting a satisfying shave. As Anthony, their barber quoted: "The Moustachery aims to make everyone look handsome, the best way they possibly can." 2/760-766 Brunswick St, New Farm. 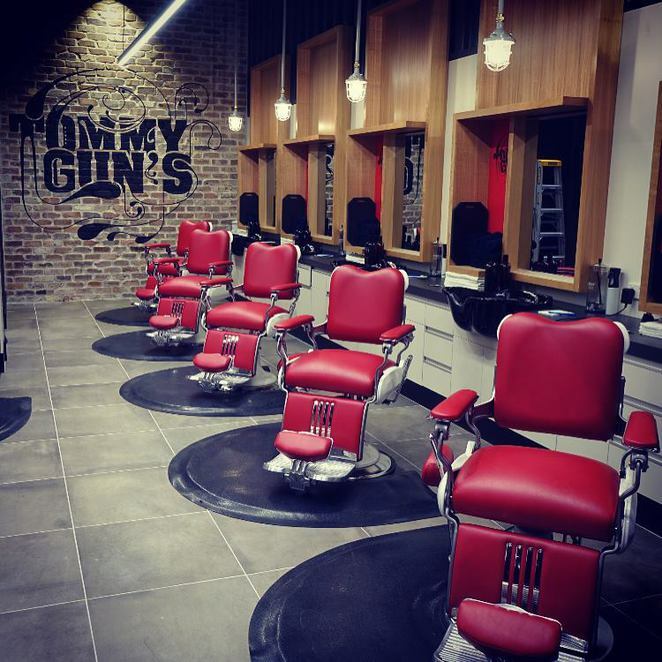 When old-school services combine with modern luxuries at Tommy Gun's Original Barbershop, it's the resolve for an exclusive male grooming experience that every man requires. With the technological age crossing over with traditional shaves, Tommy Gun's provide its loyal patrons with a digital self-check in system, a private lounge and classic arcade games for when you wait, and mirrors with built-in TVs for your own personal entertainment. The trendy and contemporary interior truly reflect on Tommy Gun's code and vision, which they emphasise on the relaxation, sharpness, luxury, and affordability. Shop 1253, Westfield Carindale Shopping Centre, Carindale. Shop 137, Westfield Chermside Shopping Centre, Chermside. Shop 2097, Cnr Logan & Kessels Road, Upper Mount Gravatt. Shop 1268/9, Westfield North Lakes, North Lakes. An innovative article, Kenneth - well done!